The Carved Stone Museum is open for individual visitors from June to August. The entrance for individual visitors is located below the Victory Column at the Freedom square. Guided tours, starting from the Kiek in de Kök tower, are available all year round. The Carved Stone Museum part of the passages contains a display of decorative stone fragments from Tallinn, which have so far been kept hidden in repositories: portals, pillars, coats of arms with family signs and symbols, relief – decorated window jambs and tombstones from the 16th to 19th century. The exhibition displaying more than two hundred carved stones is titled “The City of Ruins”. The atmospheric lighting and chambers dedicated to different themes play a crucial role in making the exhibition a coherent whole. In the museum, visitors can pass through the “Garden of Eden”, “Pillar Hall”, “Death Hall” and “Sun Hall”. The casements next to the Vabaduse väljak (Freedom Square) were closed to the public and filled with water for decades ; now, powerful air conditioners provide an environment suitable for carved stones and acceptable for visitors – the temperature in the passages is between 10 to 12 degrees Celsius all year round. 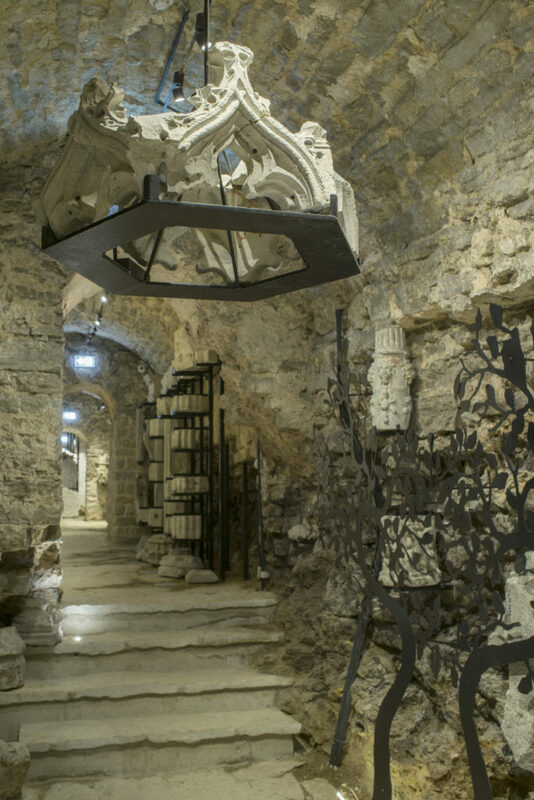 Guided tours starting from Kiek in de Kök will give you an overview of the history of the Bastion tunnels and the exhibition of the Carved Stone Museum. Guided tours take place in Estonian, English, Russian and Finnish and last about 1 hour and 15 minutes. Group size is up to 20 people.